It’s launch day for the next batch of astronauts to head to the International Space Station! Watch live as Yuri Malenchenko, Tim Kopra, and Tim Peake blast off on a Soyuz rocket out of Baikonur Cosmodrome in Kazakhstan en route to the International Space Station. Russian cosmonaut Yuri Malenchenko, NASA astronaut Tim Kopra, and British astronaut Tim Peake are launching early on Tuesday morning. The Soyuz rocket carrying the trio will blast off out of Kazakhstan at 5:03pm local time (6:03am ET). Six hours later, they will dock at the International Space Station, starting their six-month mission. Malenchenko is adding to his 641 days in space with missions to the space station, Mir, and the space shuttle Atlantis. Kopra is returning after spending 58 days on the station in 2009. This is the first mission for Peake, and the first time a British astronaut will live on the International Space Station. This expedition will see the first use of the Bigelow Expandable Activity Module (BEAM). It’s an experimental, expandable capsule that will attach to the space station, then inflate to 13 feet long (3.9 meters) by 10.5 feet (3.2 meters) in diameter. The module is being shipped to the station on the next SpaceX commercial cargo run (CRS-8), provided their return-to-flight goes well. NASA astronaut Scott Kelly and Russian cosmonauts Mikhail Kornienko and Sergey Volkov are currently on the space station after the end of Expedition 45 awaiting the start of Expedition 46. The other half of Expedition 45, NASA’s Kjell Lindgren, Roscosmos’ Oleg Kononenko, and JAXA’s Kimiya Yui, landed late last week on December 11, 2015. 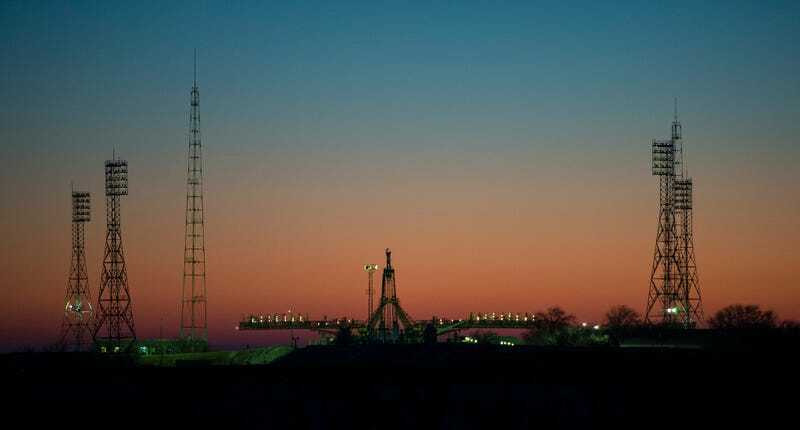 Theirs was the first night-landing for a Soyuz crew from the space station.